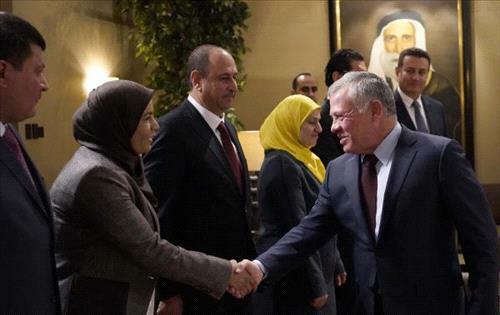 AMMONNEWS - His Majesty King Abdullah on Wednesday called for engaging young people in charting the nation’s future and enhancing their political engagement. During a meeting at Al Husseiniya Palace with members of the House of Representatives’ Al Mostaqbal bloc, King Abdullah stressed that political life cannot develop without effective parliamentary blocs and political parties that represent all Jordanians and have clear platforms trusted by the public. The King called for clarifying plans and future goals to citizens, especially in the political, economic, and social fields. They stressed the need for government-Parliament collaboration, calling for promoting investment opportunities and supporting local investors to overcome poverty and unemployment.